The archetypal business saloon, the E39 generation BMW 5 Series remains a highly coveted machine for those wanting a classy, enjoyable to drive car. The archetypal business saloon, the E39 generation BMW 5 Series remains a highly coveted machine for those wanting a classy, enjoyable to drive car. Winning huge praise in the press when it was still in production the E39 BMW 5 Series faced the usual rivals from Mercedes-Benz and Audi via their E-Class and A6 saloons respectively. The BMW was always acclaimed as the most enjoyable of that trio to drive, the firm’s obsession with weight distribution and chassis dynamics meaning even the lowliest engined 5 Series is a joy to steer. This 5 Series is arguably the model that BMW built its reputation on, the brand’s growth being meteoric during this model’s production run. There are a few around as a result, the 5 Series a popular choice in the large business saloon marketplace in the late '90s. In its eight-year run it saw one major overhaul, 2001 seeing the 5 Series gain its clear headlamps with highly distinctive ‘angel eye’ running lights. The range follows BMW’s traditional 520i, 525i, 530i, 535i and 540i model designations in petrol guise, with the diesels offered in 520d, 525d and 530d specifications. Topping the model range is the M5 with a 5.0-litre V8 petrol engine, its 400hp giving it sensational, supercar-rivalling performance, but at the cost of punitive running costs. The fine balance that made the M5 such an enjoyable drive is thankfully available at more accessible prices and running costs, with even the 520i exhibiting some the M5’s magic dynamics. Those boot badges aren’t always all that they seem; the 520 was initially powered by an inline six-cylinder engine of 2.0 litres, but that latterly was enlarged to 2.2 litres. Automatic transmissions were a cost option on all but the most expensive models - the M5 being the exception - though while the manual gearbox offers a crisp shift a sizeable number of 5 Series were sold with automatics. They’re desirable on the used marketplace, even if the self-shifter does dent the economy on offer. The cabin is comfortable, if not as commodious as you might anticipate, while BMW’s fine build quality means the 5 wears its kilometres and age very well. So too does the styling, which, despite being over a decade old, still looks fresh today. The sensible choice is the 520i, and there’s absolutely no reason why you shouldn’t go for that. 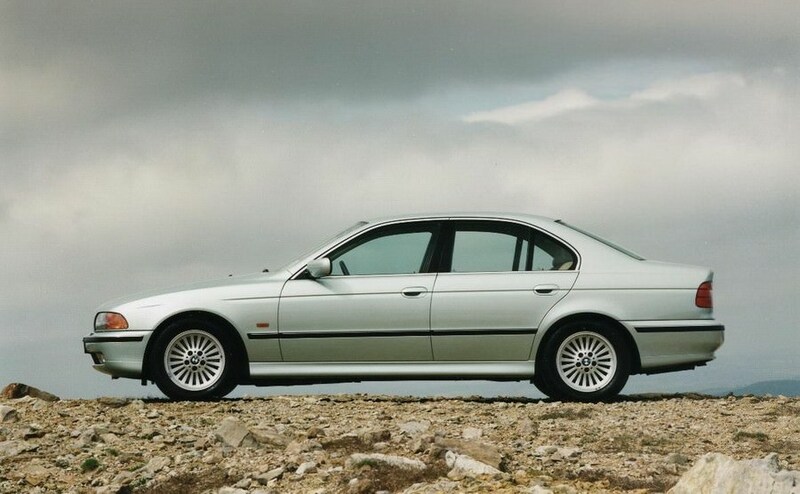 Except the 530d, which, with its 193hp (2000-2003) 3.0-litre turbodiesel engine not only gives the 5 Series a serious turn of speed, but betters that 520i for economy - returning an official combined figure of 7.1 litres/100km. It’ll cost you more to buy, but it’s worth it. Praise was forthcoming throughout the 5 Series’ entire production run, the car still heralded as the class leader even in its twilight years. That’s good for used buyers, for although the oldest cars are nearing their second decade, they all remain a fantastic drive. Find a good one and you’ll love it.